 One of the things we love most about our guests, is that each and every one of them have one special trait in common. They all hold their love for the Crystal Coast in a special place in their heart. But the interesting part is, the reason is different for everyone. Some people love the adventurous activities of the area, such as fishing, surfing, or paddle boarding. Others come for the serene nature hikes, bird-watching, and eco-tours. And others come for the pure ambiance of the entire Crystal Coast experience. It all depends on your point of view. 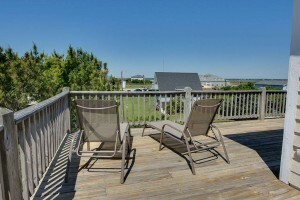 Nestled close to the historical US Coast Guard Station in Emerald Isle, Point of View is a middle row cottage with 3 bedrooms and 2 bath, and sleeps a total 6 guests. 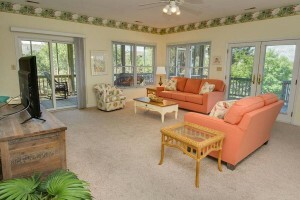 It’s perfect for a family or a small group of couples, and is extremely spacious inside and out. 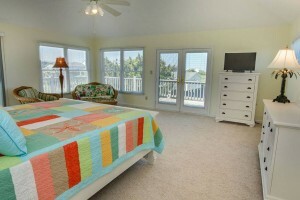 The top-floor master bedroom contains a king bed, flat screen cable TV, additional seating area, and 2 separate access points to an outdoor private deck. 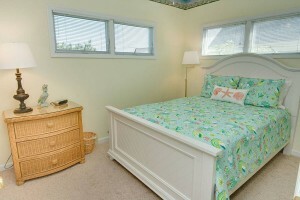 The second bedroom contains a queen bed, and the third bedroom contains two single beds. All linens are provided by Island Club linen service. 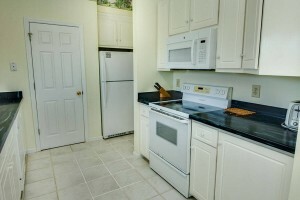 The open layout continues into the living, dining, and kitchen areas. There is plenty of seating in the open living room, centered around a large, flat screen cable TV with Blu-ray DVD player. 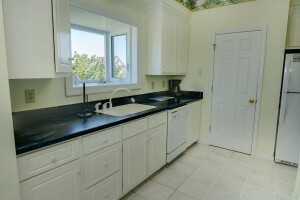 The bright kitchen is lined with white hardwood cabinets and dark stone countertops with ample room for cooking even the largest of gourmet meals. When it’s time to eat, gather around the glass-top dining table which seats 6, and also seems perfect for a lively board or card game. 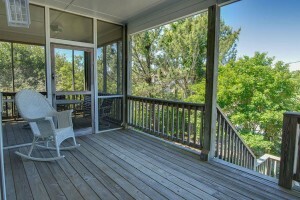 Outdoors, there is plenty of room on the open decks for lounging, dancing, and just about anything else you can imagine. 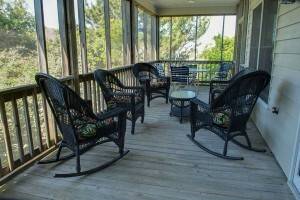 The covered, screened-in porch with rockers is perfect for gathering for morning coffee as the sun breaks or sharing stories of the day with a cocktail at happy hour. 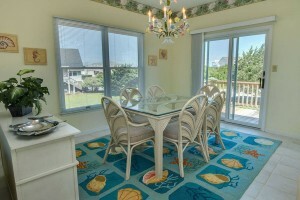 Plus, enjoy dining al fresco at the patio dinner table. 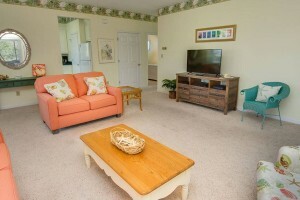 On the ground floor, you’re just a short walk to the beach for frolicking in the warm waters of the Southern Outer Banks. 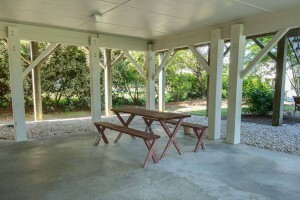 Take a break for lunch and chow down at the wooden picnic table. And when the day is done, wash the sand away at the enclosed outdoor, hot/cold shower. The almost never-ending yard is perfect for a game of catch, and there is plenty of parking for everything from cars, boats, and RVs! Whether you’re visiting for action and excitement or for some much needed rest and relaxation, Point of View can serve your need. 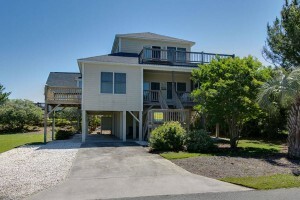 Check out additional photos and the availability of it, and more than 700 other rentals offered by Emerald Isle Realty.